An ancient B&W 4:3 CRT TV was the modern '50s family's primary source for TV news and entertainment, and it was free. The history of TV is still on TV and popular. Much it is broadcast on local digital subchannels or available on the internet. Over the years TV content has changed dramatically, as has the technical quality of cameras, recorders and displays, but nothing behind the scenes in the TV industry has changed more dramatically than the cost of production gear and storage media. This time every year, manufacturers begin sharing information about new products they’re bringing to their NAB exhibits. The 2019 NAB Show promises to be the year of IP video production and transport. What’s in store for future NAB Shows? The smartest way to predict the future is to study the past. In 1969, most TV stations owned two or three hi-band color quad videotape recorders for production and playback. Each VTR cost more than 30 new Corvettes. Fifty years ago, TV broadcasting was expensive. A new 1969 Chevrolet Corvette sold for about $6000, and the TV section of the NAB convention was a cozy gathering of chief engineers, corporate managers and a couple of dozen broadcast TV equipment manufacturers. Nearly everything on display cost over $100,000. One of the least expensive items on display was in the 3M company booth, where a one-hour reel of 2” Quad videotape cost $100. Live TV, video and videotape was an expensive medium open to few producers. Creating broadcast TV content and owning TV stations became known as a license to print money. When analog HDTV first appeared about 30 years ago it was brutally expensive. 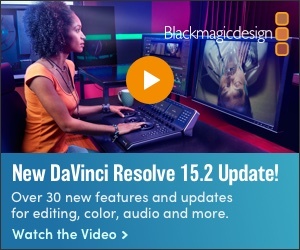 Analog HD VTRs, videotape, cameras and lenses cost well more than double their SD counterparts and there was no way to broadcast or distribute HDTV content. The speed of analog HD videotape was so rapid, the biggest reel could only hold ½ hour. The paradigm began to change about 25 years ago when consumer PCs and digital camera abilities caught up with the storage and bandwidth requirements of live SD digital TV. Until then, every supercool early new broadcast technology that was “The Big Hit” at an annual NAB Show, such as electronic graphics (Vidifont and Chyron), real-time digital effects (Squeeze Zoom, Quantel and ADO), 2” and 1” broadcast VTRs or non-linear editors (Lucasfilm’s EditDroid), all sold for about $¼ million or more, each. The best pictures and monitors in the industry all looked uniformly crappy, and analog reception at most homes was loaded with artifacts. During the DTV transmission transition of the early 2000s, flat panel displays were introduced and OTA digital reception was always crystal clear. About a decade ago, full-screen HDTV achieved ubiquity in digital cameras and smartphones. Today, the industry is experimenting with and debating 4K and 8K UHD broadcasting. The state of the industry today is that display, production and test equipment continues getting better and less expensive. With good planning, some TV content can be produced and shot on a smartphone, posted in the cloud and/or broadcast on live TV. Not every TV production needs a lot of bulky, expensive gear, and many TV productions are not intended to be broadcast on TV. In many cases, it’s better to focus on a well-planned script, production values and a monetization plan. Pictures from today’s most economical HDTV cameras and smartphones can often be good enough for smaller budgets. The uniqueness of the budget, market and intended audience is what sets the bar for quality. The magnifying glass hanging next to a new 8K display at the 2016 NAB show was a clue to its visual information excess. The foreseeable future for broadcasting, in my humble opinion, doesn’t include 8K. TV displays have hit the wall of natural human perception. There are limits to what human eyes can resolve at a comfortable viewing distance. Additional content presentation pixels are a waste of bandwidth. Future technology may eventually reduce a single pixel to the size of an atom but who will see it from their favorite recliner? Many of the manufacturers and engineering managers I speak with seem to agree that 1080P 60 with HDR and WCG provides the optimal visual presentation in most home viewing scenarios. Consider the trend that more people are viewing TV on personal hand-held devices and the strength of the argument for more display pixels fizzles. Bits cost bucks. In the meantime, news stories about the national 5G build-out are growing. 5G NR (New Radio) is a broad term that covers all kinds of wireless systems, millimeter frequencies and power levels. 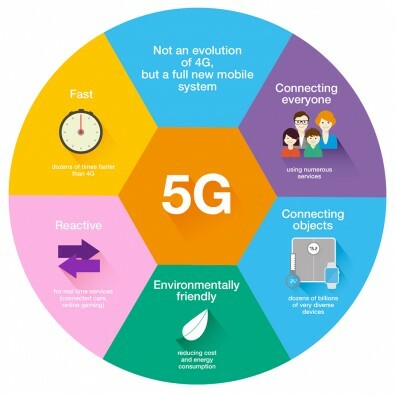 Early build-outs don’t include all the new potential features, but it does appear that if a wireless improvement uses any new 5G feature, it’s okay to call the product 5G. Significant 5G NR bandwidth improvements won’t build out this year. Neither will ATSC 3.0. At the recent Las Vegas Winter CES Show, ATSC 3.0 NextGen TVs were relatively rare. TV set manufacturers aren’t prepared to deliver high volumes of receivers yet, but they’re working on it. January 2019 was not the time to push it. Stay tuned for Summer CES, where many retailers place their winter holiday season orders. Experts predict 2020 to be the year NextGen ATSC 3.0 floods the US consumer TV market. Practical and cost-effective 5G equipment and applications remain years away. Yet, the technology will deliver on many of its promises faster than did TV. Click to enlarge. Image courtesy Orange. The most recent 5G timeline announced by the 3rd Generation Partnership Project (3GPP) only goes out to October 2020. It shows primarily Evaluation, Specification and Evolution. Most 2019 work is on ITU-R IMT-2020 radio interfaces. Like ATSC 3.0, there aren’t too many reasons to be too concerned about 5G at this moment because most significantly improved 5G consumer products aren’t in the manufacturing pipeline yet. Judging from history, ATSC 3.0 will essentially take TV back to the future, about where it was when Philo Farnsworth invented it but in a new century. In today's reality, anyone with a credit card can go to Walmart and purchase everything necessary to create a single camera production on a HDTV screen. YouTube is the evidence of this new reality, as is some broadcast TV content. The TV production club is open to everyone. 5G is a work in progress. ATSC 3.0 is a done deal. NextGen TV is poised to reinvent television and will roll out much quicker than significant 5G TV improvements. New 5G millimeter frequencies promise up to 400 MHz wireless bandwidth, but TV's future is no longer about bandwidth. The future of TV is about people inventing and implementing popular new ways to generate more revenue with the unique technologies of either new delivery system. The future of TV is an opportunity open to anyone in the industry to turn a simple idea into a fortune. The biggest hits of future NAB Shows will be the ‘killer apps’ guaranteeing broadcast TV’s continued universal popularity and success, waiting to be invented.